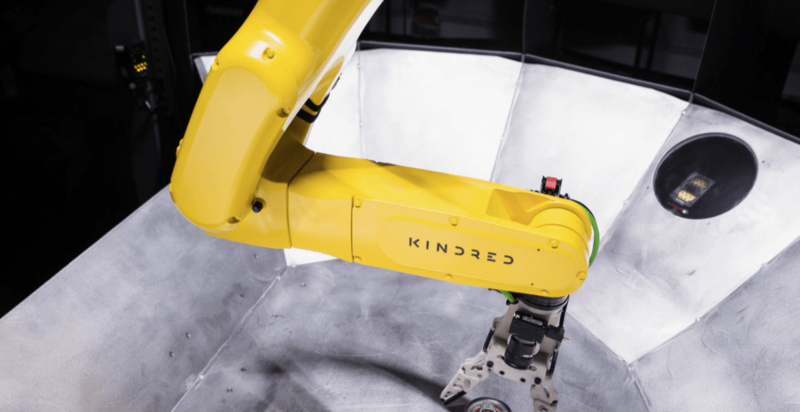 Putting another notch in Vancouver’s tech sector belt, Kindred, a Vancouver artificial intelligence company announced this week that it has raised $35.4 million. The investment was raised in Series B funding led by Tencent, bringing the total amount raised to $44 million. The company also announced it has partnered with global retailers to begin pilot programs integrating Kindred Sort, its first commercial offering, in existing fulfillment centres. Fulfillment centres provide warehouse and shipping services for ecommerce retailers. Kindred Sort was developed to “quickly and accurately” sort an endless variety of products into orders, side by side with warehouse staff. In a statement, George Babu, co-founder and head of product at Kindred, said that through Kindred Sort, it is aiming to alleviate pressures facing the retail and fulfillment industry. Those include significant online sales growth, labour shortages, and a lack of advancement in technology, he says. “Industrial robots, despite their accuracy and precision… do not adapt well to less controlled environments where the items could be randomly placed or come in a nearly infinite variety of sizes, shapes and weights,“ said Babu. The robots are meant to help retailers increase productivity and expand capacity to serve more customers faster, enabling top line revenue growth. “Kindred Sort is only the beginning when it comes to showcasing the company’s unique approach to AI,” said Pierre Lamond, Partner at Eclipse Ventures, in a statement.